Here is a video of using the Rotate tool to rotate a dart. 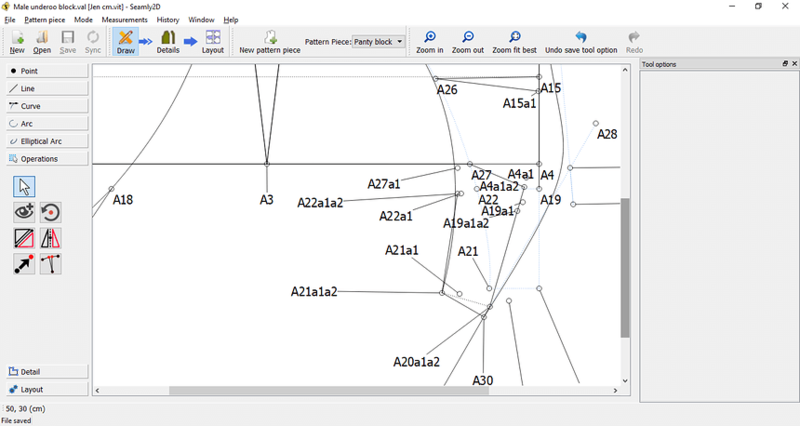 To select multiple points in the Rotate tool, hold down the Ctrl key. When you have selected points press Enter. (One point will appear to remain selected after pressing Enter.) Select the dart point as the origin of rotation (or other point for rotation - for example, sometimes the bust point is not used as the dart point so in that case select the dart point as origin.) 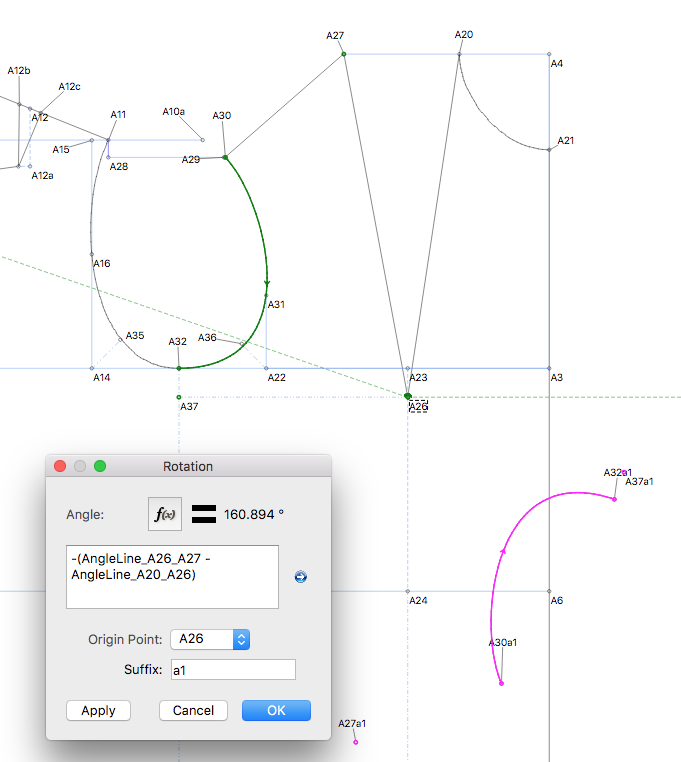 For the angle, you don’t have to type in (AngleLine_P1_P2 - AngleLine_P3_P4), you can select both angle of lines in the f(x) dialog, but I wanted everyone to be familiar with this naming convention for an angle of a line. Also, it’s a good idea to direct the lines of the dart so that the 1st point is the dart center point and the 2nd point is the dart leg point, in case you need to rotate the dart in the future. How to "nullify" the bodice breast pince (or rotate the dart)? I’m so pleased to see this dart rotation tool! I’m trying to rotate a shoulder dart to the side seam but I’m not getting the same results using the given formula. Am I missing something? Change Line_A20_A26 so that the first point is A26, and the second point is A20. Then in your formula use AngleLine_A26_A20 instead of AngleLine_A20_A26. BRILLIANT! Thank you so much. So simple. Me again! I am stuck moving this dart - I had to redo a lot of my block. Common mistake. Hold CTRL key for multiple selection. Also you can use rubber band (click left mouse button and drag). Thank you again, that’s embarrassing! I should have gone to bed instead of trying to continue with my bodice! Is there no way to have the piece just rotate and not leave behind the original points? I’m trying to do this method and although it technically works and I can make the line colours lighter the amount of unneeded point is kind of out of hand on this simple pattern piece.